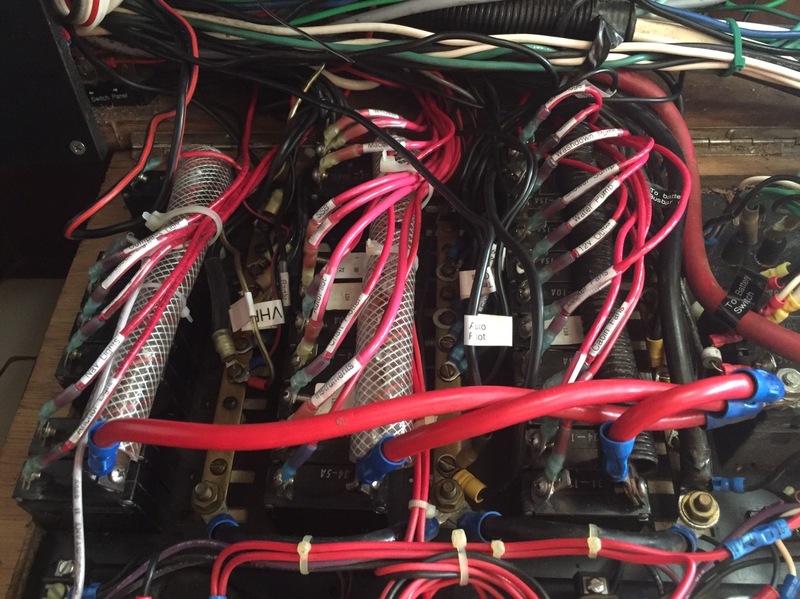 Sabre did a great job with the electrical panel on these boats. You can undo two screws and the whole front of the panel folds down giving you easy access to the guts of the system. 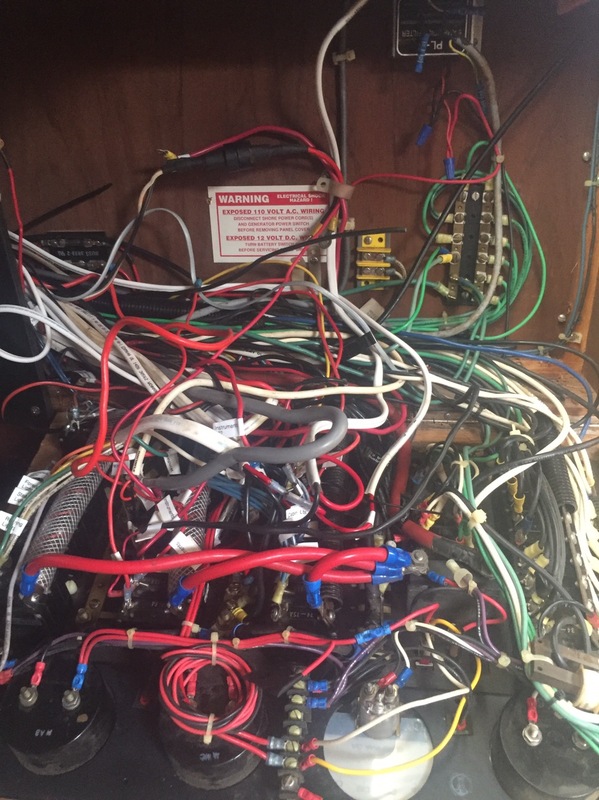 But any boat that’s 25+ years old, had several owners, and have had “upgrades” and additions to the systems, it causes what was probably a very clean factory panel to look like spaghetti. I wanted to solve a few issues; I wanted to rearrange the breakers to make more sense to me so I didn’t have breakers in seemingly random locations on, and make it easier to trace issues or add items later. Grouping breakers to areas (one panel for house type things i.e. lights, water pump, gas solenoid, etc. other panel for instruments, chart plotter, radar, etc, last panel for nav lights, steaming light, deck lights, etc.) isn’t as easy as moving some breakers and a few wires. You basically need to disconnect everything, and move it all. So if I’m going to do that, then I’m going to try to make it even easier to deal with for the future. This led me to installing terminal blocks on the back wall, running wires to the breakers and going through more labels then I thought possible. 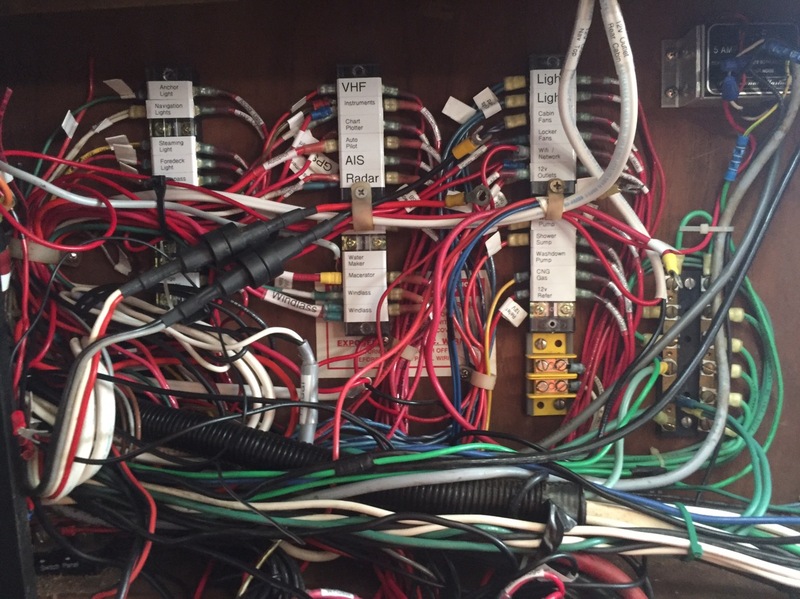 While it still looks like spaghetti… it’s amazingly much easier to deal with. I found several wires which were just hanging out un-connected. 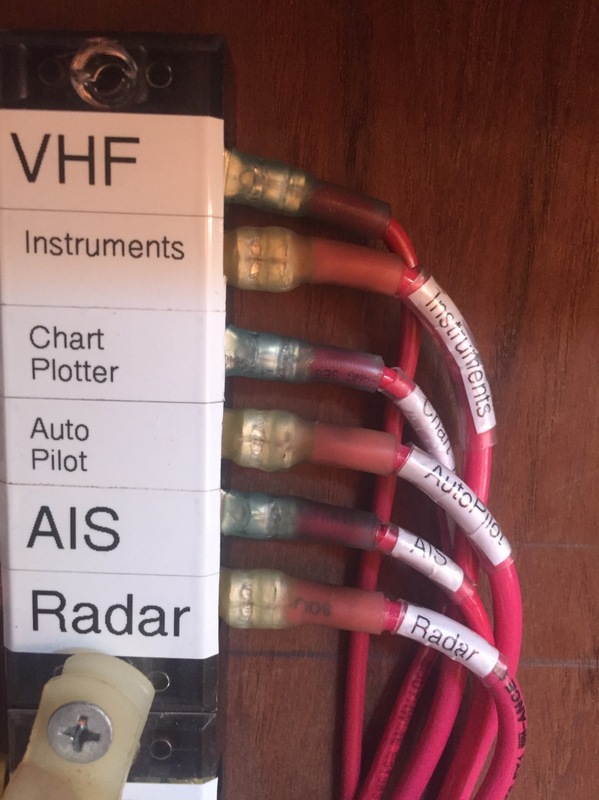 Each wire is labeled at both ends, and each terminal block is labeled. There are several open positions, which I can use for additional items, or if I’m overloading one block, I can easily add as needed. All that’s left to do is find where the abandoned wires go, and straighten up a few things. I’m much happier getting into the panel to sort out any issues now, which gives me great peace of mind.